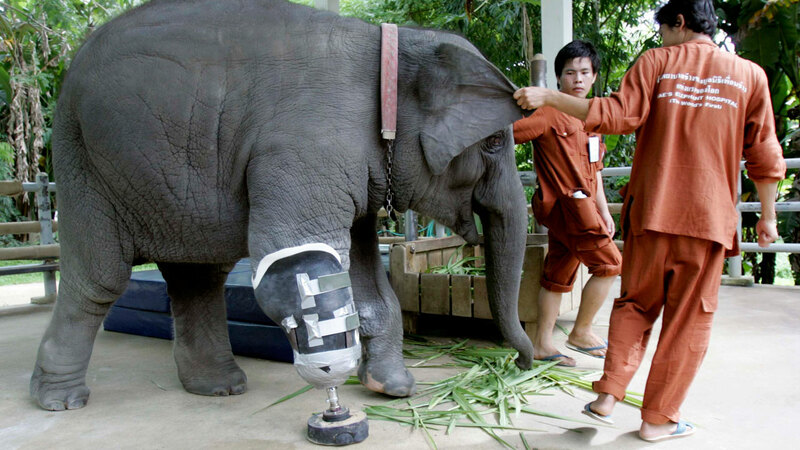 Mosha the elephant, a permanent resident of the hospital run by the Friends of the Asian Elephant foundation in Thailand, is the first elephant ever to receive an effective and functional prosthetic leg. Mosha was just 7 months old when she lost her leg to a landmine on the Burmese border, according to the FAE's website. Click here for more from ABC News.